A 55-year-old man presented with resistant hypertension associated with other cardiovascular risk factors. Echo Doppler ultrasonography examination suggested a renal artery stenosis. 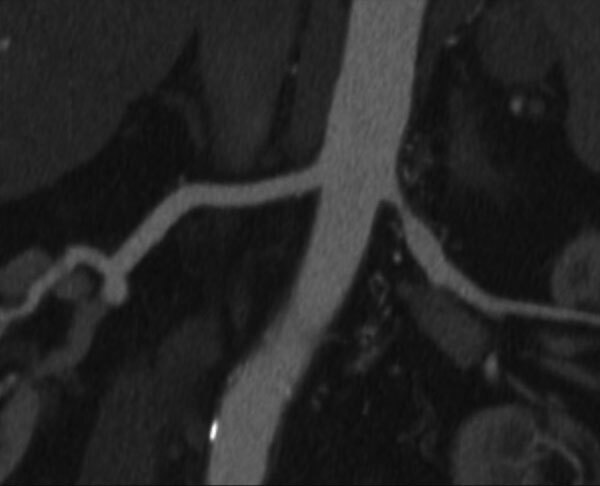 Contrast-enhanced aortic CT was performed to evaluate the abdominal aorta and the renal arteries.